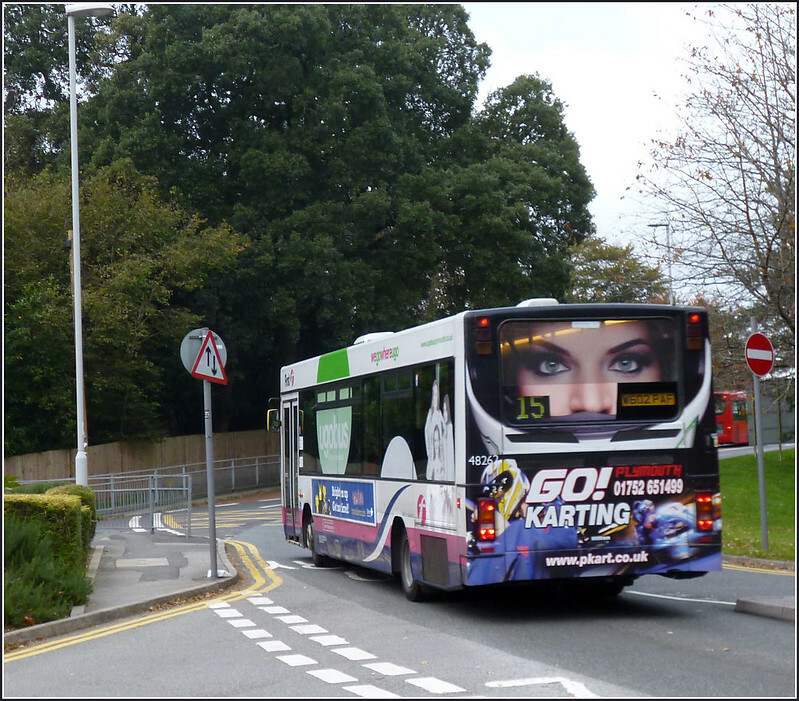 Several First buses have received new advert warps recently with several receiving this eye catching rear end advert for Plymouth Go Karting. 48262 is seen leaving Derriford Hospital Thursday evening this week. I could have caught this bus to Asda but I try to avoid these Volvos unless I am in a hurry! Saw that yesterday evening at Derriford, the rear ad looks fairly smart though the whole bus looks really tatty what with all those faded Ugobus 'ads' on the side.